If there’s one thing made clear by Apple’s recent iPhone X troubles, it’s that the company desperately needs to diversify its revenue sources. For far too long Apple has relied on the iPhone to generate more than half of its revenues. While this does not look problematic when annual upgrades outperform their predecessors, it’s when they fail to do so that the chinks in Cupertino’s armor become more obvious. Now, Morgan Stanley agrees with us. The investment bank believes that while the era of the iPhone might be over, there’s still hope left. How? Take a look below for the details. Morgan Stanley analyst Katy L. Huberty is out with a research report today, which provides fresh insight on how Apple’s business model is evolving. While the company’s hardware launches, particularly the iPhone are the spotlight of media attention, at its proverbial core, Apple’s always been more. It has always paid an equally strong attention towards software, ever since the days of Lisa OS. 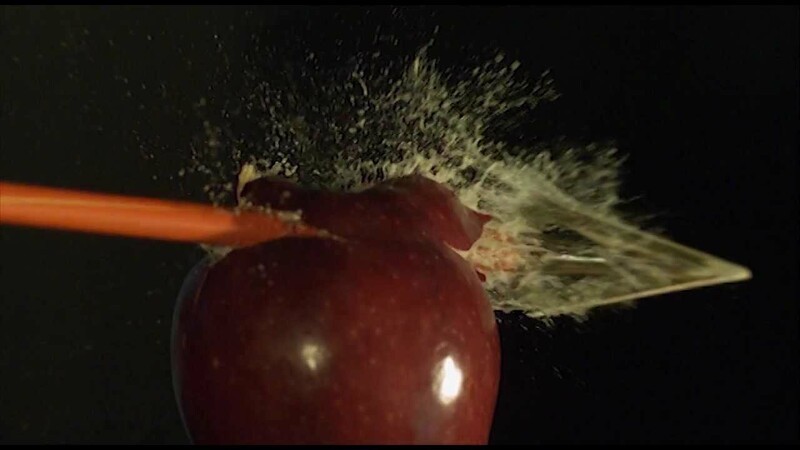 On that tune, Huberty expects that software and services revenue will play a much stronger role in stabilizing Apple’s balance sheets in the coming years. According to her figures, 86% of the company’s growth over the past five years is attributed to the iPhone. Now, the monetization of Apple Services is starting to replace this; contributing for 60% of present revenue growth. 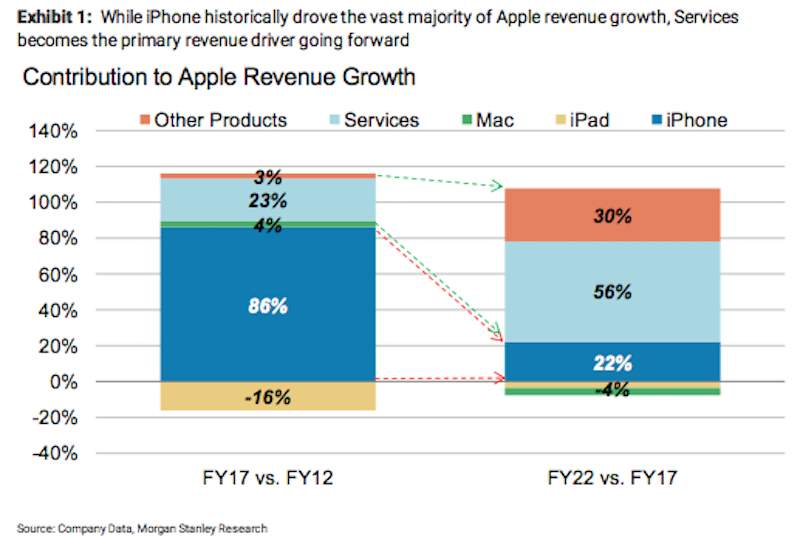 Compared to FY17, services will nearly replace the iPhone in revenue contribution over the next five years, i.e. FY22. Huberty believes that contribution from the iPhone will drop down to 22%, from 86%, while that for services will increase to 56% from 23%. A vast chunk of this growth is attributable to the fact that a large chunk of Apple’s current user base do not pay for services. This growth is therefore, contingent on this chunk being incentivized or forced to fish out dollars keeping Apple’s ship stable. 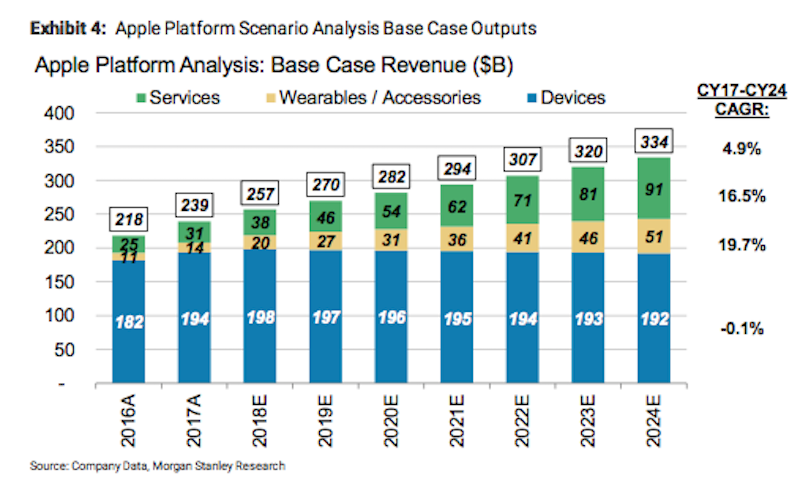 Moving towards Cumulative Average Growth Rate (CAGR), it shows optimistic growth across both services and wearables. For the sake of reference, CAGR gives an estimate of a company’s sustained growth rate over the years. According to Huberty’s figures, Cupertino’s CAGR for devices will decline in the near future. The analyst also expects Wearables/Accessories to grow fast, with the major contributions coming in from services, as insinuated above. As services will play a more important role over the coming years, our analyst also breaks this segment down into portions requiring further monetization from Apple’s end. The first service which needs attention is Apple Music. According to Huberty, only 2.9% of iOS users avail the service. The second is iCloud, as the platform continues to grow especially in China. Finally, despite a lot of talk at its launch, usage for Apple Pay is still low across the US. 50% of retailers offer the service, but users find little incentive to conduct their transaction with the platform. Apple Pay’s fortunes will turn around in China, as the country’s growing middle class loves to shop online, resulting in the growing popularity of online payment services. All in all, Apple needs new user incentives, as its brand image is insufficient to monetize existing service assets.